Northeast Electric Power University (NEEPU) is located at Jilin City, Jilin province, a beautiful city with fine sceneries. Northeast Electric Power University is one of the key universities in Jilin province. Founded in 1949, it is the first electric power engineering school launched by the People’s Republic of China. In 1958, it was named Jilin Institute of Electric Power and in 1978, its name was changed to Northeast China Institute of Electric Power Engineering. In 2005, the university changed its name to Northeast Dianli University. In 2009, the university became a doctorate degree awarding project approval construction unit. 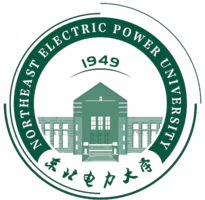 In 2012, the university was selected as one of the key construction universities of “Midwest Universities’ Basic Capacity Construction Project”.In 2016, the university changed its English name to Northeast Electric Power University.